My 3 year old son is obsessed with trucks, car, tractors, trains, really anything with wheels. 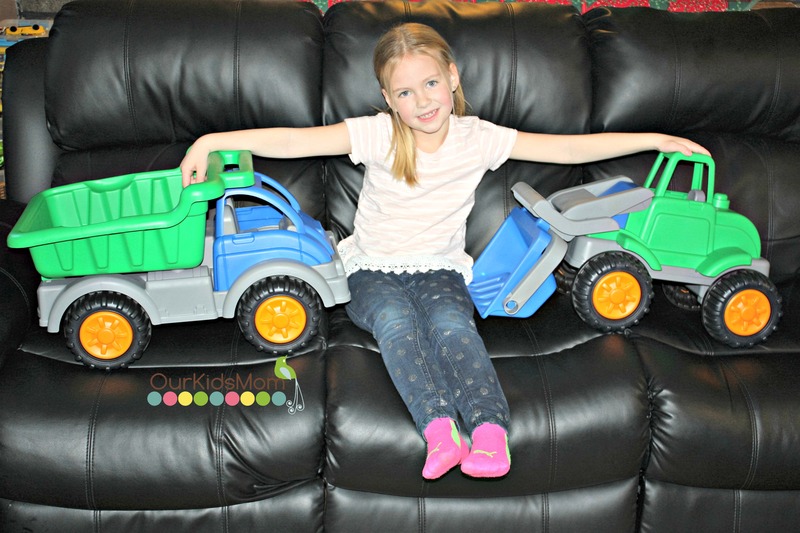 He is a true little boy through and through so when I was sent the Gigantic Loader and Gigantic Dump Truck from American Plastic toys I knew these were going to be a big hit. Taking them out of the box I really didn’t realize exactly how big they really were, they are gigantic! 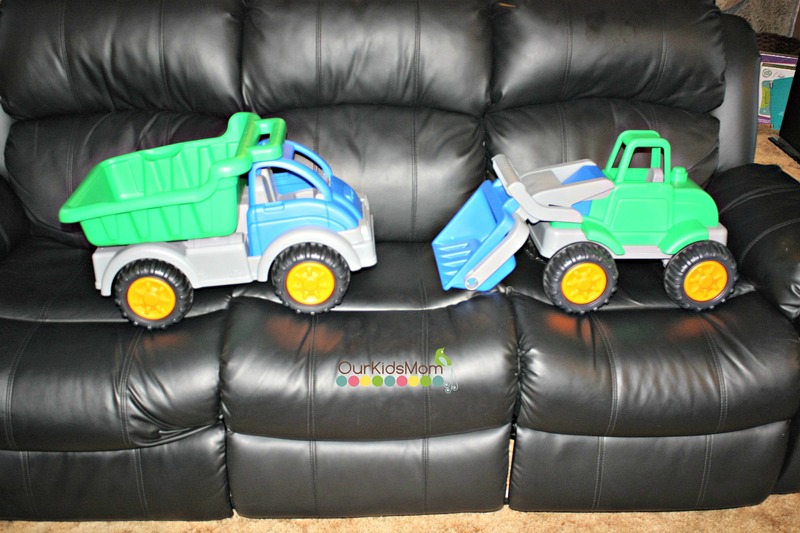 Both the loader and the dump truck are over 2 feet long, they are light enough for little ones to maneuver and rugged enough to take the beating that they are going to take. 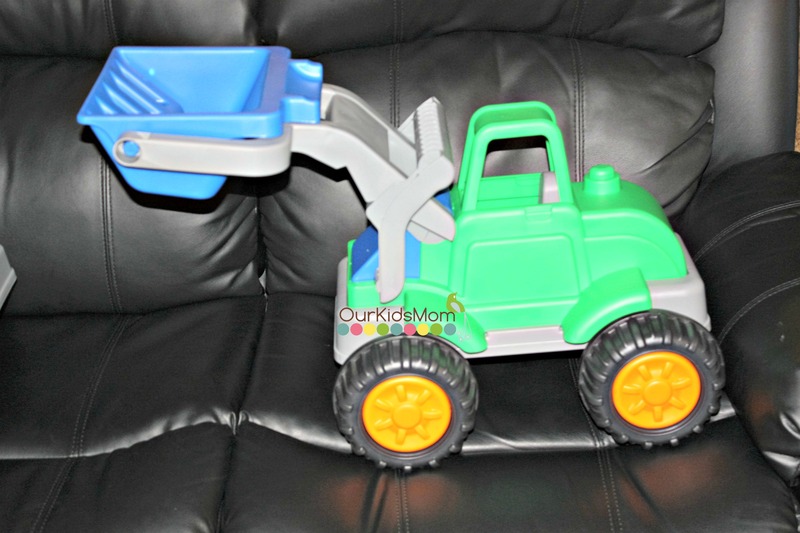 The loader bucket moves up and down, and the bucket tilts forward to dump your load. It’s so easy to hold for little hands and rolls smooth and with such ease. 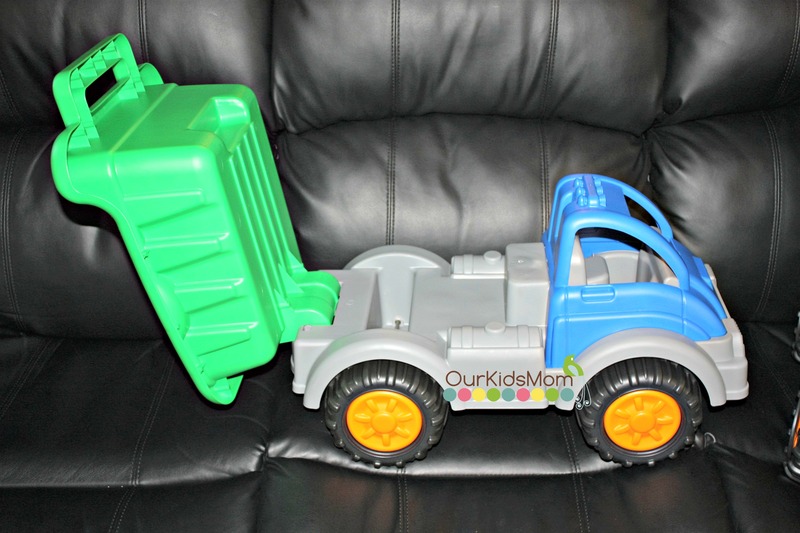 The dump truck I’m sure is big enough for my 3 year old to sit in, it’s huge and built to carry the large loads of dirt, rocks, bugs, sticks, and who knows what else is going to end up in that bucket. 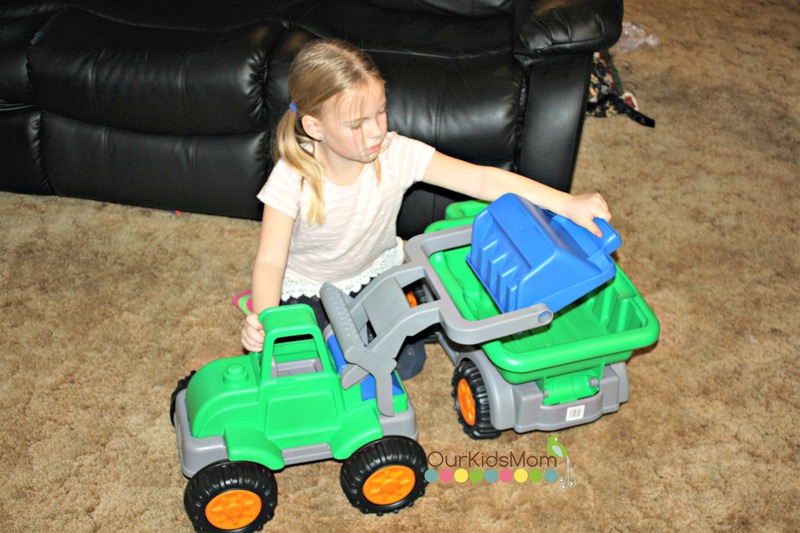 What a fun way to help your kids grow their imagination through play. The bucket also moves and allows your child to dump their load once they get to their destination. I can only imagine the hours and hours of play time and mile and miles that will be put on these 2. Head over to www.amazon.com and purchase your little one a toy that you know they are going to love. Wow! Those are huge. When he was a kid, my little brother loved trucks like that. I know several kids now (boys & girls) who would enjoy these. How fun! My son always loved toy trucks when he was little and these look awesome.